This beautiful building began as adjacent chapels built so that hospitalized soldiers and King Louis XIV could hear the same mass while sitting in separate chapels. It is now France's miltary museum and contains the tomb of Emperor Napoleon I. The golden-domed chapel, built for Louis XIV. He moved to the Palace of Versailles shortly after it was completed and almost never used it. The entrance to the soldier's chapel on the opposite side. The pulpit that connects the two chapels. 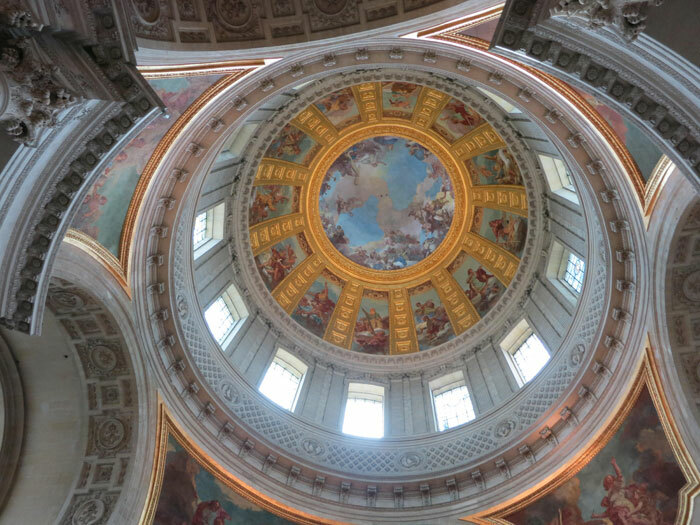 When Louis XIV complained that the artwork of the dome couldn't been seen from the ceiling inside, the artist came back and repainted it, giving the illusion of a dome shape despite actually being flat. 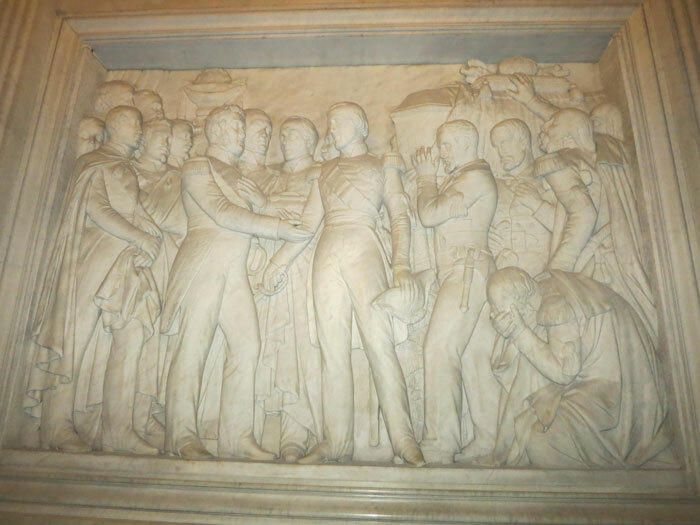 One of the bas reliefs in the entryway leading to Napoleon's tomb depicting his many miltary victories. 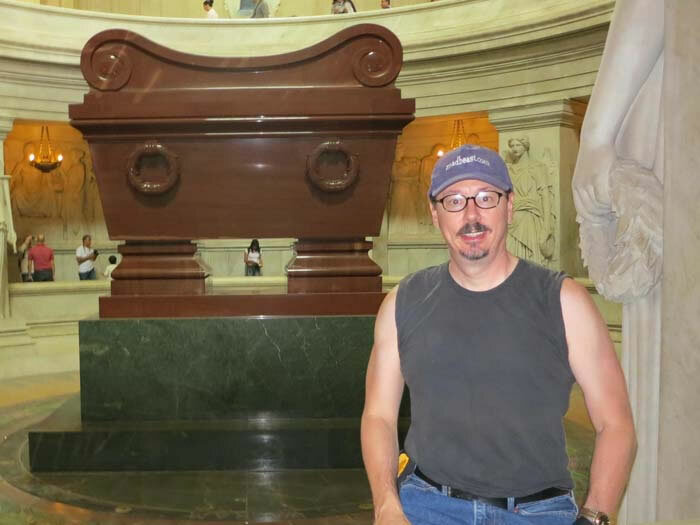 Jonny at the tomb of Napoleon Bonaparte. 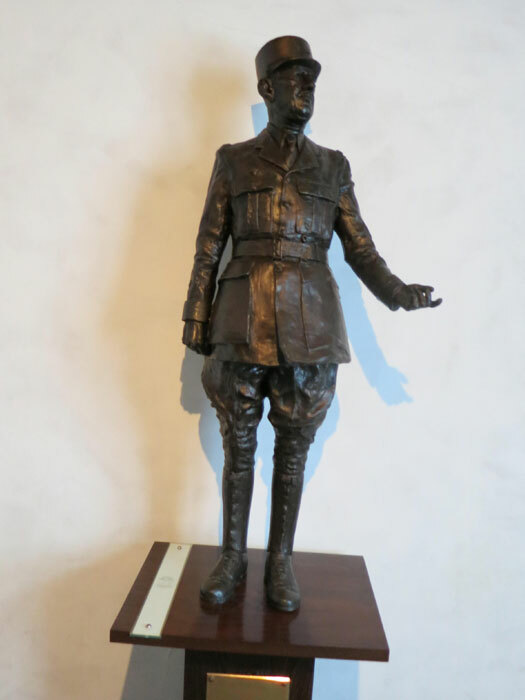 The museum has countless displays of France's military history through the ages. There are also a lot of artistic depictions of Charles De Galle.